It’s the right time to prepare for the cold winter days! So if you are looking for stylish and elegant coat ideas, then you should continue to read this article. 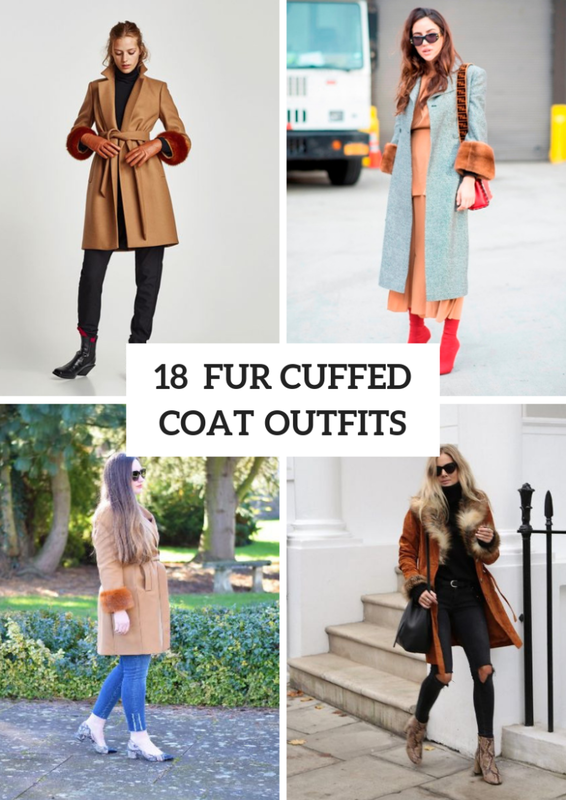 Today I want to focus on coats with fur cuffs and show you some cool examples how you can combine them with other pieces of clothes, accessories and shoes. First of all, you need to decide what length your coat will have, and you can choose a mini, knee-length, midi or maxi one. Secondly, think about colors and prints that you item will have, for example, you can choose a leopard coat with black cuffs or find a neutral colored coat with bright colored fur cuffs. Now I offer you to scroll down to see all ideas. Get inspired! 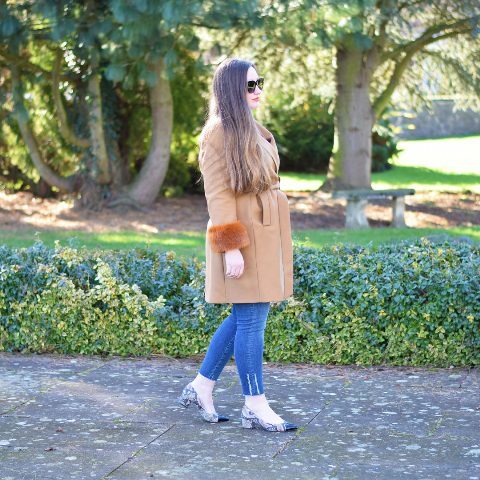 Such elegant and chic coats look good with casual jeans, so don’t be afraid to mix them. 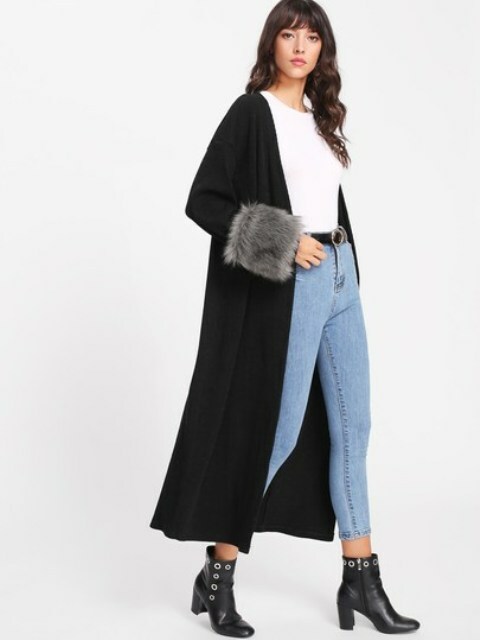 For example, you can pair a white t-shirt with light blue crop skinny jeans, a black leather belt, black embellished leather ankle boots and a black maxi coat with gray faux fur cuffs. 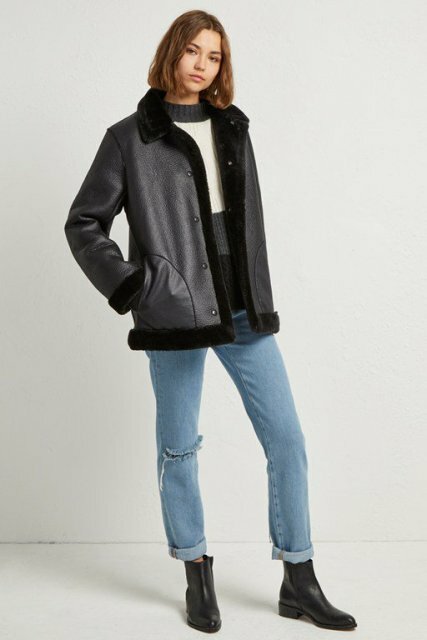 Or take a brown suede mini coat with fur cuffs and combine it with a black turtleneck, distressed skinny jeans, sunglasses, a black tote and animal printed heeled boots. Wanna something eye-catching? Then try to repeat a combination with a light brown maxi dress, sunglasses, red high heeled sock boots, a gray straight midi coat with brown fur cuffs and a red small bag. Or take a black shirt and mix it with a black leather mini skirt, a camel fur cuffed coat, a marsala wide brim hat, a red suede chain strap bag and red lace up cutout high boots. For an everyday look you can pair a pale pink sweater dress with a black midi coat with pink cuffs, black over the knee boots and a mini bag.